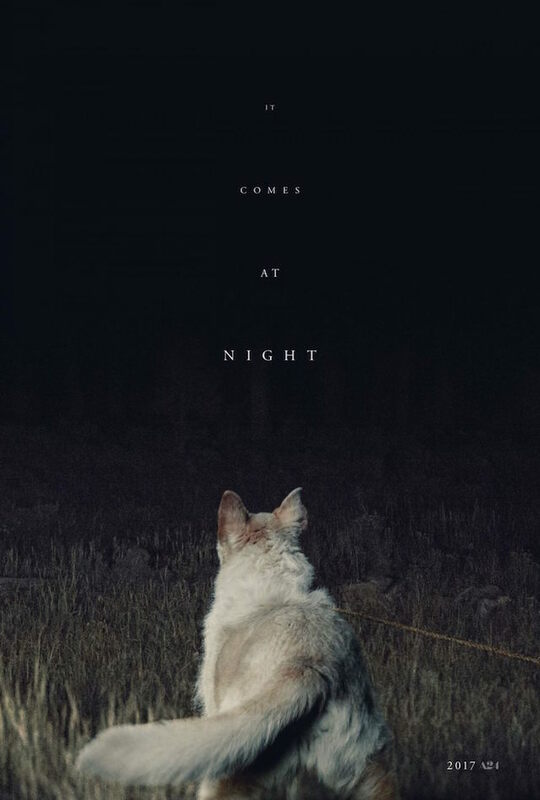 The first trailer for Trey Edward Shults’ (Krishna) upcoming horror mystery, It Comes at Night, arrived this morning. And while I still don’t have much of an idea what the movie is about, this quick look, and a new poster, is more than enough to pique my interest. Check it out below. hey’ve earned the benefit of the doubt, and from this esoteric trailer, It Comes at Night fits right into their wheelhouse. But with a great cast that includes Joel Edgerton, Riley Keough, Carmen Ejogo, Christopher Abbott, and Kelvin Harrison Jr., It Comes at Night has a ton of promise. There are parents, a sick kid, a mystery, potential supernatural forces, and atmosphere and tension for days. I can’t tell for sure, but there’s a survivalist, almost apocalyptic vibe. Maybe it’s the images of dudes in gas masks that makes me think some kind of attack or plague—then again, if a kid is sick, maybe with a compromised immune system or something like that, a gas mask makes sense. See, I told you there’s not much to go on. But what’s here is right up my alley. Admittedly, I haven’t seen Krishna, but people seem to revere it, and by all accounts, Trey Edward Shults is a filmmaker to keep an eye on. We still have a while to wait. It Comes at Night doesn’t open until August 25, but it definitely gives us something to look forward to. Take a look at the poster down below. It’s also cool, but doesn’t reveal much.